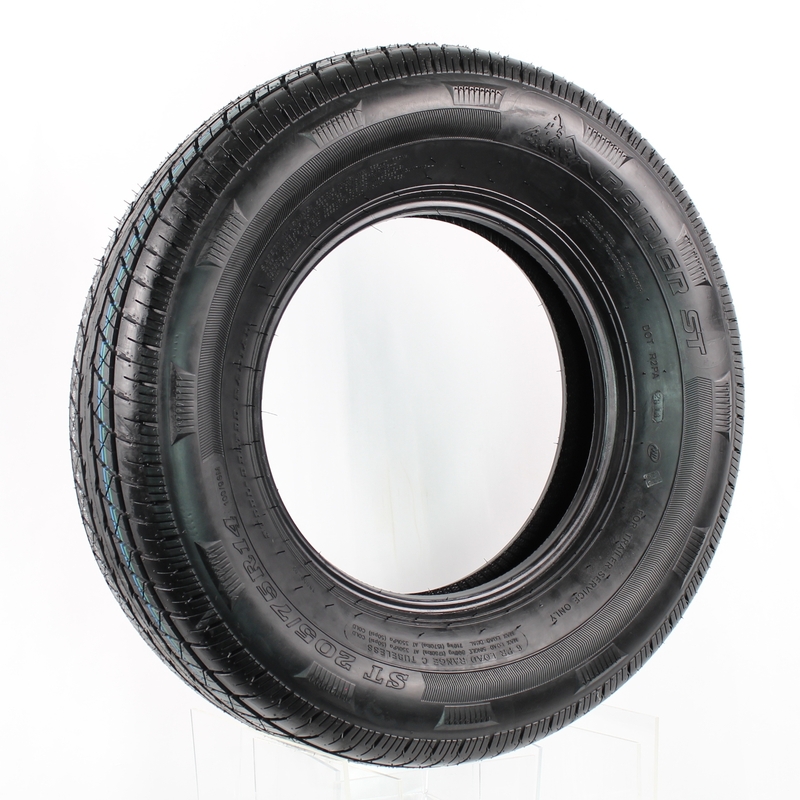 Rainier ST205/75R14 LRC 6-Ply Radial Trailer Tire | Trailer. Set. Go! The Rainier STR is designed with a light truck appearance coupled with the durability, high load capacity and rigorous demands of ST tires. Strong Sidewall protection against accidental cut and wear. Wider center rib for increased road contact. Blade groove design to enhance the rigidity of the tread pattern. Varried tread pitch design to reduce road noise. Improved heat dissipation with extended tread life.